Verizon thinking about moving back into Canada with bid for WIND Mobile? So let's say you are the largest mobile carrier in the U.S. with over 100 million customers, and you are looking to grow the business. What do you do? If you're Verizon, you head north and look at making inroads into Canada. According to a published report in Canada on Monday, Verizon has held "exploratory talks" with WIND Mobile. The struggling Canadian carrier is said to have other suitors in the wings including AT&T, U.K.'s Vodafone and Telenor Group of Norway. What makes this speculation all possible is a change in foreign ownership restrictions made by the Canadian government last year, which is trying to prop up two struggling mobile operators in WIND Mobile and Mobilicity. A possible game plan for Verizon would be for the carrier to purchase WIND Mobile to give it a foothold in Canada. That would enable Verizon to bid for spectrum in the country and build up a fourth major mobile operator in Canada by offering faster service and lower prices. 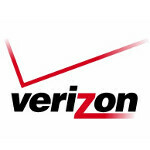 Verizon is no stranger to Canada as it had been an investor in TELUS until 2004. Turning around WIND Mobile, which has more than 600,000 subscribers, is not going to be cheap. Canaccord Genuity's telecom analyst, Dvai Ghose, figures it will take $2 billion over the acquisition cost of the company to turn things around at WIND. "That would enable Verizon to bid for spectrum in the country and build up a fourth major mobile operator in Canada by offering faster service and lower prices." For those people who are in the US and familiar with Verizon, do you do think they can offer us Canadians faster service and lower prices? I don't know about price because Verizon is the most expensive here in the states but no one can deny that their service is good across the country. As ferney said the most reliable is certainly correct. I have both Verizon and AT&T. AT&T offers better voice but reliable data, verizon absolutely owns. This is a dream come true if it happens. The largest Mobile Operators in the US, best service and has the most advance infrastructure. Time for Wind to crush those greedy competitors. Hope this deal goes through.